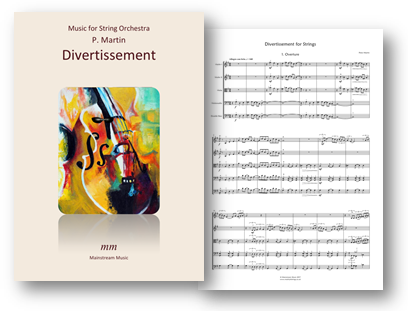 An adaptation of the composer’s ‘Divertimento for Brass’ for string orchestra. The PDF contains a part for violin III, doubling that of the viola. The smaller notes in the cello part can be omitted if the double bass part is covered. Click here to listen to a recording of the piece. A suite of four short pieces, adapted for cello duet by John Kirby. Please note that this item contains only the score and not the individual parts. 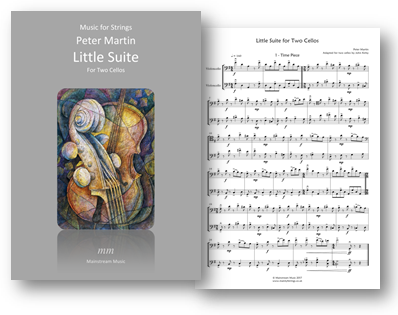 Also available in versions for two violins and two violas duet. Click here to listen to a recording of the suite.